This is a compilation of four blog entries, dating back to the summer of 2010, commenting on 2 Kings 18 and 19. The subject is the attempted siege of Jerusalem by the Assyrians and how God protected the city and Hezekiah, the king. Ahaz, like Socrates in the traditional syllogism, was a man and, therefore, mortal. With his demise, his son Hezekiah became the king of Judah. Once again the pendulum of devotion to God swung in the other direction. In fact, it swung far in the direction of righteousness. We've said that the kings of Judah were much like the girl with the curl in the nursery rhyme: When they were good, they were very good. But when they were bad, they were horrid. In Hezekiah's case, he was very, very, very good. Look at that acclaim: "Not one of the kings of Judah was like him, either before him or after him." That would include, for example, David and Solomon. Not that he was perfect, as we shall see, but he did not commit the big sins that David and Solomon did. As Hezekiah was taking over and carrying out his reforms, even eliminating the high places and sites for idol worship, a succession of Assyrian kings was devouring Israel and Judah. Tiglath-pileser III (744-727 B.C. ), to whom we have referred as "TP" over several chapters now, handed in his Mesopotamian dinner plate after having deported the tribes east of the Jordan, destroyed Aram, and devastated the country side of Israel. His successor Shalmanezer V (726-722 B.C. ), initiated the siege of Samaria, the capital of the northern kingdom. When he had spent his allocated time for being mean and cruel to people, Sargon II (722-705 B.C.) completed the job and deported the Israelites to Mesopotamia and Media. That left the southern kingdom of Judah, and a new king of Assyria, Sennacherib (705-681 B.C. ), leaped into the breach--after his soldiers had made a breach in the various city walls and secured the location, that is. Sennacherib himself gave us a detailed description of his conquests, to which we shall return eventually. For the moment, my observation is how unfair this all seems. While Hezekiah, a king who exceeded all others in righteousness, is bringing a revival to Jerusalem, his kingdom gets ransacked by the barbarian Assyrians. We just saw a detailed account of God's reasons for letting the northern kingdom get destroyed, namely 200 years of apostasy and idolatry. Evil gets punished; so, shouldn't Hezekiah's goodness be rewarded? Let me state once again that if you do not sense the tension between 1) there being an all-good and all-powerful God and Hezekiah being thoroughly devoted to him on the one hand, and 2) Hezekiah getting clobbered by the Assyrians on the other hand, you either don't understand the situation, or you have suppressed something that God himself has instilled in us. God has given us the faculty of finding evil repugnant, and it is precisely due to our creaturehood that we should get bothered by what God is allowing to happen. That’s not the place to stop, but it seems to me that it should be a place to start. Like it or not, the fact that bad people get punished does not imply that, therefore, good people are immune to suffering or injustice. Hezekiah was about to go through an extremely trying time. In the end, however, God did provide him with a miraculous deliverance, and in the very end, we will see how God allowed the present evil for his greater purposes and our greater good. Until then, we can stand against evil insofar as it might be under our control, and we can trust God that his plan surely will come out as he intends. God wants us to hate evil because he also hates it. So, there's nothing wrong with being bothered by the contrast between God's goodness and the evil and suffering in the world. I can assure you that God is fully cognizant of your feelings. Who cannot resonate at times with Per Hansa, the Norwegian pioneer, caught in a blizzard on the vast prairie? Just remember: Your feelings are not the last word on this subject. I was thinking about my writing style, such as it is, and authors who have influenced me, though I don't want to presume that I'm anywhere up to their level. 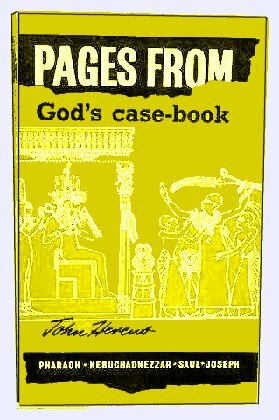 In terms of creating a comprehensive picture of Old Testament content, J. Barton Payne had a great impact on me, but when it comes to my actual writing, I like to give credit to (or place myself arrogantly into the company of) Rex Stout (the Nero Wolfe mysteries), P. G. Wodehouse (Blandings Castle, Bertie Wooster & Jeeves, etc. ), and John Hercus (Late Australian opthalmologist and surgeon: Pages from God's Casebook, Out of the Miry Clay, etc.). The Rab-shakeh is different. He is the politician. He is the talker. He can speak the Hebrew lingo, and he is the mouthpiece of the envoy and he is as windy a talker as anyone in the whole of our seven Australian Parliaments--and that is certainly saying something! You won't need to ask the kids to turn the TV down so that you can hear the Rab-shakeh, you don't need to line up a P.A. system for him. He can bellow it all out in any language he chooses. He is just the same as every other Rab- shakeh in all the history of man answering God. He thinks that if he bawls loudly enough and often enough, and generally sounds tough enough and big enough, then God will be cowed and silenced (36). So, how did this situation come about? When Hezekiah started his reign, he continued Ahaz' policy of paying tribute to Assyria. However, after a while he ceased doing so, possibly due to the perennial delusion that there would be viable support from Egypt. At the time, Sennacherib was enjoying himself killing and torturing citizens of the emerging second Babylonian kingdom, and he was quite unhappy at the news about Hezekiah. Perhaps, and I'm strictly relying on my imagination here, his aggravation was exacerbated by a caustic editorial or two in the Nineveh Times, questioning whether the king was capable of sufficient cruelty and brutality to control his vassals. And maybe even there was an anonymous tablet to the editor insinuating that things like this would never have happened back when Shalmanezer was on the throne. In reality, it would not have taken such means to drive Sennacherib to rage. I don't care what the proverb says, however intense certain other people's fury may be compared to that of hell, it is eclipsed by that of an Assyrian king scorned. Sennacherib set out to show Hezekiah who's in charge, and, as we observed last night, he invaded the kingdom of Judah and began to turn it to rubble. I already mentioned with regard to Tiglath-Pileser (TP) and Samaria, that, after your army has made a lengthy march, it is not necessarily a good idea to begin immediately with a possibly lengthy siege. Let the soldiers romp through the countryside and plunder the people in the small towns and villages and grab a bite or two from the local harvest before you make them work hard again. So, he did not head straight for Jerusalem; and when he got down to serious business, he made sure that there would be no unwanted disruptions from Egypt by taking out some of the surrounding cities first and establishing garrisons there. Things were not going as Hezekiah had fantasized. In desperation, he reverted to the method used by Ahaz and others, emptied the temple treasury, dismantled temple decorations, and sent the whole lot to Sennacherib, along with a cuneiform inscription on a large piece of humble pie. "I'm so sorry. I don't know what came over me. I know I've not been the vassal you or my mother had wanted me to be. Please forgive me. Take these meager presents and remember me fondly on your way home. Your most humble and obedient servant, Hezekiah." Or words to that effect. By this time Sennacherib had gotten himself stuck. 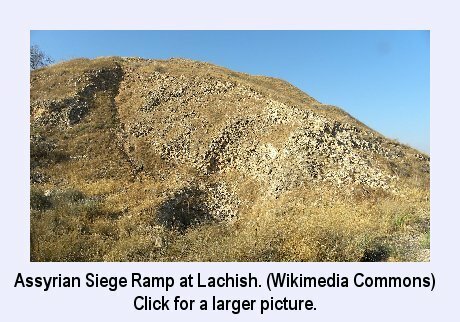 Besieging the town of Lachish turned out to take longer than he had allocated for this task on his to-do list. He loved the valuable items sent to him by Hezekiah and gladly accepted them, but, on the whole, his attitude in such matters was different from that of TP. Hezekiah's gifts did not distract him from his plan in the least. He was not going to let Hezekiah's mini-rebellion go unpunished, and--for that matter--where there was that much treasure, there might easily be twice as much. It was time to turn his attention to Jerusalem. Since he couldn't get away immediately, he sent a sizeable contingent of his army to Jerusalem under the leadership of "the Tartar" and his two colleagues. If you go to Jerusalem, you may run across the Russian orthodox church marking the area where the 180,000 Assyrian soldiers established their camp. The three royal envoys set up their stage where the Rabshakeh would be sure that he was not speaking against the wind and that he would be audible deep into the city. A crowd of people was gathering, forming a knot of terrified human beings. They would have known that, regardles of what the Rabshakeh might promise, in reality what awaited them was torture, death, and deportation. And the manner of deportation was not just everyone walking en masse under supervision, but being linked together in such a way that every step would hurt. The Rabshakeh called on King Hezekiah to come out and hear his message from the king of Assyria. However, at this point Hezekiah pulled off what John Hercus called "sheer genius." I doubt that the Rabshakeh had experienced this kind of thing before. In contemporary parlance we call it "being disrespected," an awkward construction that will hopefully vanish again from our language in the near future. Actually, it was a matter of Hezekiah insisting on receiving the respect due him more than the Assyrian being "dissed," but the Rabshakeh could not have taken it any other way. Did this move by Hezekiah accomplish anything? Other than that it's always a good idea to throw your enemy off-balance, it was a message to the Rabshakeh that dignity counted for something in Jerusalem, an idea that was probably unintelligible to an Assyrian. Instead of the king, three wary, intimidated men carefully made their way through the gate in order to serve as props for the Rabshakeh's speech, which was really intended more for the gallery of common people than for them. 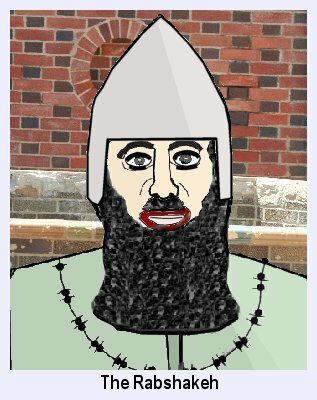 Previously on this blog: Instead of the king, three wary, intimidated men carefully trudged their way through the gate in order to serve as props for the Rabshakeh's speech, which was really intended more for the gallery of common people than for them. The Rabshakeh, in case you didn't read that entry or don't have the energy to scroll back two posts, was the spokesman for Sennacherib, King of Assyria. Along with the Tartar, who was the highest general underneath the king, and the Rab- saris, a nobleman of high standing, not to mention 180,000 Assyrian soldiers, he was getting ready to squish Jerusalem. The Assyrian king was temporarily hung up in an operation at the city of Lachish. So, the Rabshakeh, speaking for Sennacherib, called Hezekiah to come out, but Hezekiah only sent three of his subordinates. What time of day, say, will the curtain rise on this historic stage? I think it was ten-thirty a.m., and I'll tell you why I think it was then. Obviously the Tartan would be all for daybreak. "Snap in on them at the crack of dawn, and scare the living daylights out of them before they have got the sleep out of their eyes and when the night watch is more dead than alive after a full guard duty." "What about dusk, just when they are all getting tired and hungry and tempers are pretty thin?" I imagine this from the Rab-saris, because I feel it is unfair for him to come all this way and not say anything at all. "Ten-thirty in the morning." There is no mistaking this voice. If you have heard one Rab-shakeh you have heard them all. They all speak the same. Bumptious, arrogant, and above all else, wordy. Talk, talk, talk. Wear 'em down with words! "I've got to do the talking, and I'm not going to talk to a few sleepy half- awake night watchmen, any more than I'm going to compete with the yelling babies and rattling cups and saucers just at meal -time. I want the best time of the day, and that is mid-morning when everyone is out and about and the marketing is on the way and I won't miss out on a single listener. . . . Gentlemen, none of this half-awake audience attention for me. I demand the very pick of the times, and I must have a coast-to-coast hook-up . . . front page or nothing at all . . . our research indicates that that is the time when almost every TV set in the country is on, and that's the time we want, and that's the time we'll have. . ."
Oh yes, you can take a Tartan and a Rab-saris in tow, but the Rab -shakehs of the world never change and I guess it was ten-thirty a.m.
A siege is obviously rough on the people inside the city walls, but it can also be a drain on the besieging army. The aggressors have to build a wall around their own camp to protect themselves, and, while the defenders presumably have food and water, one cannot assume that the invading army necessarily has direct access or a "pipeline" to either. You cannot starve out a city if you're starving yourself. The besiegers need to set up some sort of sanitary arrangements lest everyone catch diseases. Usually they have to move, install, and maintain large pieces of equipment. There can be a problem with the morale of the besieging army if the siege lasts a long time because the soldiers may get bored or listless when there is no fighting going on (and nobody fights for months without long breaks in between). Then, when they do fight, comrades will die in what may start to look like an impossible war to win. And they need to do all of this in a location that by default has not been a part of the city, so it may contain undesirable areas, such as the city's refuse dump. Finally, given a long, tiring siege, there is always a chance of someone else attacking the besiegers. History usually records the successful sieges that made a difference in the course of events. However, a successful siege was not easy to carry out, and a lot of them failed. Consequently, if it was at all possible to talk a city into surrendering and sparing all that time and effort, it definitely was worth a try. One could offer easy terms of surrender and special favors. People like the Assyrians were moving along, torturing and killing thousands of people. Telling a few lies in order to advance their cause would not sit particularly heavy on their consciences. The obstacle was, of course, that the people in the city presumably knew that they were being told lies. Thus, the Rabshakeh, in his official duty as Sennacherib's propagandist would have a difficult job on his hands. The fact that he had to begin after having been shown up by Hezekiah's refusal to come out to him, he needed to make sure that his anger did not lead him to get off-script. 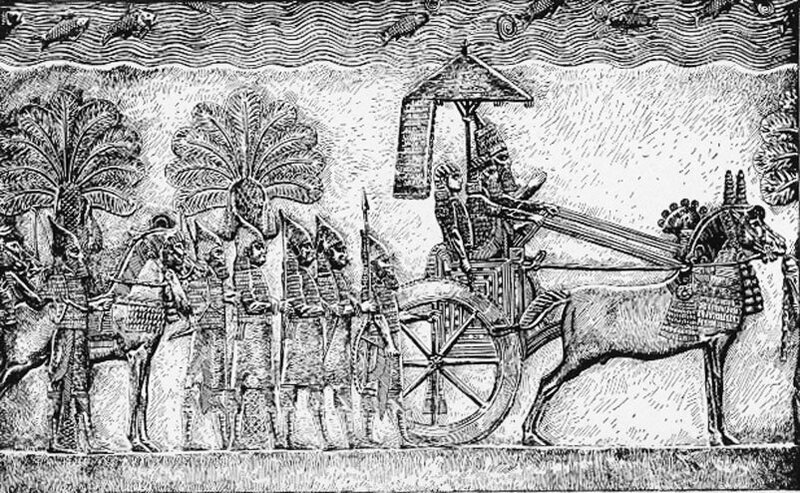 Sennacherib now had two sieges working, and he had high expectations. If you think that the Rabshakeh was now going to deliver a nicely formulated and coherent speech, you're going to be disappointed. When I said "script" a moment ago, that did not mean reciting a lecture with so many premises leading to a cogent conclusion. A propagandist knows that there are many people with many different personalities, beliefs, and weak spots in his audience, and the best way to make his job work is to say a lot of different things, not necessarily consistent, so that everyone will at some time hear something they like. If he does so often enough and loud enough, he may just start to win the sympathy of some of his listeners. When the late Osama bin Laden made his speeches to the American people, he used the same technique of touching on a lot of topics, so that hopefully, by the time he was done, he would have said something that would grab the attention of different persons. In fact, there is an eerie similarity between the Rabshakeh's harangue and some of Osama's speeches. For example, in an address in 2004 he tried to undermine the confidence of the American people in President Bush as well as John Kerry, addressed the American budget deficit and various other issues, making sure that both Democrats and Republicans would resonate with him at some point. Towards the end he declared, "And Allah is our Guardian and Helper, while you have no Guardian or Helper." As the Rabshakeh launched into his harangue, not everything he said was original. Some of it had already been communicated to Hezekiah clearly by the Lord through his prophet. One would think that Isaiah strolling buck-naked around Jerusalem for three years would have left an indelible afterburn on everyone's retinas, including King Hezekiah's, and the message would have stuck. The Rabshakeh's address was nothing if not arrogant as he began to command the officials "Tell Hezekiah . . . ." As we remarked earlier, respect for other people was not a national trait among the Assyrians, and it seems to have been inconceivable for the Rabshakeh. Pretty soon what started out as a supposed message to the king became a public job evaluation of King Hezekiah. Let's briefly look at some of his rhetoric. Hezekiah could hardly have missed God's message. God was pretty serious about this matter, and so Isaiah, his prophet, had to act out this somewhat unusual display. In this context, the Rabshakeh said to Hezekiah (who was not physically present): "You think mere words are strategy and strength for war." I think he must have been referring to Hezekiah's absurd apology to Sennacherib, which he interpreted as a stalling technique to wait for help from Egypt. Of course, he forgot about the huge treasure that Hezekiah sent along with his "mere" words. At this point, the Rabshakeh began to address the people of Jerusalem directly. "I suppose you're going to tell me that you don't really trust in Egypt. You're going to tell me, 'We don't trust in Egypt, but we trust in the Lord.' That's so sweet; I'm so impressed by your piety, particularly since it doesn't make the least bit of sense. Isn't this Yahweh of yours the same god whom you were worshiping all along? Didn't you have altars to him all over the countryside? Didn't King Hezekiah command you to take down all of those altars on those high places for this same god? So how can he now tell you that you're supposed to trust in him? Hezekiah is simply using you for his own purposes, trying to keep your religion under his control." Isn't it interesting how often it is those who are farthest away from God who claim to have the greatest expertise on what God or the Bible or Christianity should be all about? How many times have you heard, "If Christians really meant what they said, they would……" What then follows is typically some kind of self-serving demand, which would most likely exempt the person from the expectations of God's righteousness or make Christianity conform to beliefs or standards alien to the Bible. This was certainly the case for the Rabshakeh. He could not understand God's command that he should be worshiped with sacrifices only in the Temple.--- Or, perhaps he did. But he might have guessed that there were people in his audience who objected to Jerusalem's monopoly on sacrifices, and who would have liked to have their high places restored, and so he may have been appealing to their sentiment. As I said, the point was not to make a coherent argument, but to cast his bait in as many directions as possible, hoping to make some connections along the line. Once again, the Rabshakeh switched subjects. He went from ridiculing worship of Yahweh to making fun of the military capacity of the people of Jerusalem. "I'll tell you what. Let's make a deal. Since you think that you are able to carry on a fight against us, I'll help you out. Bring out your great warriors! I will personally supply horses for them. There's only one condition: You must supply 2,000 men who are able to ride, and I will give you 2,000 horses." At that point in time, in Middle Eastern armies horses were mainly used for drawing chariots. Mounted warriors as a regular part of an army were still several centuries away, and the few that were there, had special duties, such as protecting the chariots. Consequently, this was a pretty lame taunt. There may not have been 2,000 soldiers who could ride horses sufficiently well for combat purposes in the Assyrian army. Consequently, that particular line did not go over as well as the Rabshakeh had hoped. As a good orator who can gauge whether he is communicating with his audience, he immediately reverted to his previous topic, namely Yahweh, the God of the Jews. "Now, some of you may be thinking that by coming here we intend to make war on your God, Yahweh. Please give me credit for a little intelligence. I would not have come here if it had not been for the fact that Yahweh himself sent me on this mission. He personally told me 'Attack Jerusalem and destroy it!'" That was a nice little piece of blasphemy. What utter arrogance! And yet, if you look at it from the perspective of his trying to connect up with people in the audience, the idea that God had sent the Assyrians to punish Judah for their sins was not that far off the mark. Therefore, the inference that the Rabshakeh might actually have received direct orders from Yahweh could have registered as plausible with some people. You’ll always find someone who is going to be attracted by some absurd notion because it's what he wants to hear. For crying out loud, even after Usama bin Laden had taken full credit for the 9/11 attacks, Noam Chomsky and his followers of esteemed intellectuals are still intimating that they were really orchestrated by President Bush and his secret team of Twin Towers bombers. No matter how fantastic, no rhetorical line needs to be thought of as wasted. There is always going to be someone eager to embrace some bizarre crack-pot theory, particularly if it makes them feel as though they are clued in to something to which most common people do not have access. The Rabshakeh’s words had become too much for Hezekiah's delegates. Hilkiah, the master of the palace, finally spoke up. However, he did so rather obsequiously, trying to avoid saying anything that would offend the Rabshakeh. If you wonder what he still had to lose, the answer is obvious: his own life. It would be utterly naïve to think that the Rabshakeh would honor the protection of a truce flag if he got sufficiently annoyed. Hilkiah meekly put forward his request: "If you really do not mind, could you maybe speak in Aramaic? Your servants (referring to himself and his two colleagues) know Aramaic, but the other people do not; they only know Hebrew. So maybe if you could refrain from speaking in Hebrew, our people would not get so disturbed by what you are saying." This request, was just the kind of stimulus that the Rabshakeh needed to really get going with that perpetually moving mouth of his. "And who do you think you are? Are you telling me to whom I may or may not speak? Sure, my master (Sennacherib, the king of Assyria) has sent me to speak to your master (Hezekiah), and I am wasting my time speaking to you, his three stooges, but my words are also intended for anyone and everyone here because all of you are destined to consume the same meal." The latter culinary reference was to their own liquid and solid waste products. This response left no doubt that the Rabshakeh was not about to grant Hilkiah his request, but the good news is that he did not kill the palace master either for speaking. Once again, the Rabshakeh returned to his favorite theme, the deceitfulness of Hezekiah by asking the people to trust in Yahweh. Once more he assured them that any such trust was utterly misplaced. In a strange twist, the Rabshakeh, having just promised that pretty soon the fare of everyone within the city would consist of what they found in their toilets, he now offered them a virtual paradise. Should they surrender, their lives would immediately become beautiful and bountiful. There would be a personal cistern of water for every person. Everyone would have the tree of their choice, olive or fig, each according to their preference, to sit in its shade and enjoy peace, prosperity, and the protection of the benevolent Assyrian army. Then, when the time would come, they would make a short journey to another land that would be at least as nice as the present one, a country brimming with grain. Indeed, it would be a veritable land of olives and honey. Olives and honey? Not exactly a combination that appeals to me, but thankfully I was not included in the audience to which the Rabshakeh was attempting to appeal. Wisely nobody started heckling him since doing so might have created problems on the spot. Still, a good question someone could have raised was: Where would he get all of those cisterns and private trees? – The answer is, of course, from the same place where politicians get all the money that they promise to lavish on the people whom they try to entice. Not out of their own pocket, that's for sure. – As to his description of a future deportation, he certainly drew a rosy picture, which only someone truly ingenuous and uninformed — and desperate to avoid the suffering of being besieged — would believe. And yet, I cannot help but think that as the people talked afterwards, there might not have been some among them saying, "Well, shouldn't we at least give him a chance? He would not be making such promises if he did not really mean them. We've never had the opportunity to trust a Rabshakeh before, and aren't we coming at this whole thing with a lot of prejudice?" I cannot know that, of course. History shows very clearly that this promise by the Rabshakeh was one grandiose lie. Sadly, history, both ancient and very recent, also shows that there are usually people around who are eager to believe a lie, no matter what size of a whopper it turns out to be, just as long as it sustains their own illusions. Finally, the Rabshakeh brought it all down to a contest between the might of Assyria and Yahweh, the God of the Jews. He had a list of precedents on his tongue: Hamath, Arpad, Sepharvaim, Hena, Ivvah, and Samaria, to mention just a few—all cities that were defeated by the Assyrians. None of their gods were able to stand up to the might of the king of Assyria, and it would be just plain folly to think that Yahweh would be an exception, and that he would somehow be stronger than Sennacherib himself. We get a good glimpse here of the Rabshakehs of the world, to use the phrase of John Hercus. The so-called new atheism has produced quite a number of them. They are boastful, sarcastic, arrogant, but, worst of all, self-deceived. They do not know where to stop. They go far beyond whatever conclusions their arguments could conceivably permit because ultimately it is not about rational argument for them anymore, but about asserting themselves as their own gods for all practical purposes. And, come to think of it, the bottom line is not who has the better arguments (though biblical belief does), or who has the most impressive rhetoric, but the most crucial issue is where you stand in relationship to the infinite Creator of the universe, who is also the Redeemer. The Rabshakeh located the contest right where it belonged. But he did not realize that he had embraced the wrong side in the process. As I said above, the Rabshakeh of Hezekiah's time shared an important attribute with all of the Rabshakehs throughout time and around the world. He didn't know when to stop. He was making fun of the people; okay a lot of people deserve to be made fun of. He was attempting to undermine Hezekiah's integrity in the eyes of the people. But the people could judge for themselves, and they had lived through some exciting times prior to the Assyrian invasion of restoring righteousness and proper worship of God under Hezekiah’s leadership. Surely there must have been a handful of people who would have bought into the Rabshakeh's empty promises, but this group of deluded people would not have been very large. He took potshots at the people's trust in Yahweh, while once more casting doubt on Hezekiah, who was encouraging the people to trust in God. So far, not so good, but within the bounds of ancient Near Eastern trash talk. However, the Rabshakeh took one extra step that undoubtedly made a lot of difference. He blasphemed God himself. The understanding of gods operative among the people of the ancient Near East was that all the gods of all of the people in their various locations were real, and that the people of each country were responsible to their own god, while their god would fight on their behalf. So, there was no shortage of "my god can beat up your god" kind of rhetoric. However, by and large, even if you thought that the god of the enemy was not as strong as your own god, you certainly knew that he was stronger than you. Thus, you could taunt the people about their god, but you would not usually taunt the god himself. Not unless, of course, you are the Rabshakeh, who was supposedly speaking for the king of Assyria. Note that he was using the first person singular when he bragged, "Who among all the gods of the lands has delivered his land from my power?" (18:35) Now he was not talking about god vs. god, but about human being vs. God, and I very much doubt that in his mind there was a clear distinction between the power of King Sennacherib and his own power in representing the king. "We are brilliant," the Rabshakehs of the contemporary world exult. "We in the twenty-first century know so much more than people of previous ages. We have proven that events, which people used to call miracles and acts of God, are really only instances of the laws of nature." Really? Aside from the dubious nature of such argumentation, let me ask you, Rabshakeh, what exactly have you personally proven? Yes, there have been brilliant people who have contributed a lot to our knowledge of the world that God has created. But that makes them brilliant, not you. How much have you discovered that makes you smarter than God or the people who believe in him? Just as our Assyrian Rabshakeh claimed the authority of Sennacherib for himself beyond simply serving as spokesman, your basic Rabshakeh loves to claim for himself achievements that he has not earned. Please understand. Not every person who does not believe in God is a Rabshakeh. Furthermore, there are some people with Rabshakeh-like attributes found throughout Christendom and the rest of the world of religions. But the irreligious Rabshakehs with their extra swagger, their in-your-face attitude, their never ending need to talk and to call attention to themselves that makes them stand out. There is nothing worse for a Rabshakeh than to be ignored. For example, I just love the neurotic ad hominem reactions from confirmed atheist Rabshakehs on my position that due to their world view their opinion on how to recognize a miracle is irrelevant. But let us get back to our current Rabshakeh. First he claimed that he had been commanded by God to conquer Jerusalem. Then he said that God could not stand up to him (as personifying the king of Assyria). God was paying attention. As much as Hezekiah may have done a great job of showing up the Rabshakeh by not personally appearing at the gate, the inescapable truth was that he had virtually no chance of surviving a prolonged siege of Jerusalem. Now, think about this state of affairs in the light of the basic pattern of Old Testament history and theology. As we noted before, this impending doom seems so incredibly unfair because Hezekiah had been such a devoted king. Bad kings should be punished, and good kings should be rewarded. Some reward! These events really could have been a challenge to what he believed. The God to whom he had been so devoted had apparently let him down. For a lot of people, who have a paper-thin understanding of God, this could have been the official end of their faith. I mentioned above that it is a part of being God's creature that we should feel the tension between the reality of an all-knowing, all-powerful, and all-loving God and the reality of evil and suffering in the world. But I concluded by saying that our feelings are not the last word on the subject. The tension has a resolution built in. The apparent inconsistency is caused by our understanding of God as infinite in his knowledge, power, and love. But we stop too soon in our thinking if that's as far as we go. We need to continue and realize that, if God really is infinite, and if his attributes are incompatible with the present evil in the world, it stands to reason that he simply is not done yet with the process of sweeping evil out of the world. He may even be making use of the evil that currently besets the world in order to bring about a much better world than this one. I am not interested here in the precise formulation to solve the philosophical problem of evil, but my point is the more fundamental one that, since the tension was caused by our understanding of the magnitude of God in his attributes, we can also rely on the God with those attributes to solve the problem. So, let us take careful note of what Hezekiah now did. First of all, he was too solid in his convictions to renounce God because God had permitted him to wind up in this desperate position. Even though the tension caused by the reality of evil in the world is real, it is, nonetheless, a useless gesture to dismiss your faith in God in protest. If Hezekiah had done so, there would not have been one less Assyrian soldier parked outside of Jerusalem. I very much doubt that God would have felt punished by Hezekiah if he stopped believing in him. The only thing that would be different would be that he had now given up the only reasonable source of hope because only God would have the ability to rescue him. All of us would like easy, comfortable lives devoid of suffering or other evils. Atheists may tell us that we should give up belief in God because we are obviously not living those kinds of lives. But if the absence of such lives counts against the reality of any deity, it is not the God of the Bible because he never promised them to us. Second, Hezekiah did not start any kind of futile activist project. He did not call for an assembly of the people so that he could make a lengthy speech refuting the Rabshakeh point by point. He did not instruct the priests to give sermons on the next Sabbath on the topic of "What's right with God's people." He did not order the production of "Trust Yahweh" buttons, lapel pins, or stickers. He did not ask each citizen to contribute one brick to add to the height of Jerusalem's walls. Hezekiah was not a man of gimmicks, and he was not about to invoke any at this point. Hezekiah went to the temple to pour his heart out to the Lord. Some people reading this may want to join Hezekiah there. Stop being mad at God. Stop trying to do God's work for him. Just go into your private corner and cry your heart out in the presence of your heavenly father. The "Assyrians" in your life don't have a chance against him. To say that the end of our story concerning the Assyrian siege of Jerusalem was a foregone conclusion would be presumptuous. There are certain things that God has promised, and we can count on them (e.g., we can have assurance of salvation in Jesus Christ), but there are other interventions that he chooses to do at his discretion (e.g. we can't always be sure that God is going to send an angel to kill 185,000 enemies with a plague). Still, in this case, by the time that we reach the end of chapter 19, it has become pretty clear that God was going to provide some highly visible sign of his presence, and that he was going to rescue Hezekiah and Jerusalem. Hezekiah had gone into the temple from where he sent his three faithful emissaries to Isaiah, the prophet, who was presumably now fully garbed once more. Isaiah sent a message of reassurance to Hezekiah. Don't be afraid because of the words you have heard, that the king of Assyria's attendants have blasphemed Me with. I am about to put a spirit in him, and he will hear a rumor and return to his own land where I will cause him to fall by the sword. Isaiah was saying some very helpful things to Hezekiah. All that Sennacherib had done so far to Jerusalem was to send the mouthy Rabshakeh who had rattled off a lot of words of ridicule and blasphemy against God. God would take care of him by making him return home. Hezekiah should not let himself be intimidated by mere words. Then again, what Isaiah gave to Hezekiah was also mere words. They were words of encouragement, to be sure, but still words, nonetheless. (Cue the Beegees: "It's only Words . . . ") Could Hezekiah really be sure that Isaiah's words were God's message to him, and that God would do what the words seemed to express pretty clearly? There would be one way to find out, namely to keep an eye on what Sennacherib would be doing in the immediate future. What Sennacherib did was to move closer to Jerusalem. That was not a good sign for Hezekiah. 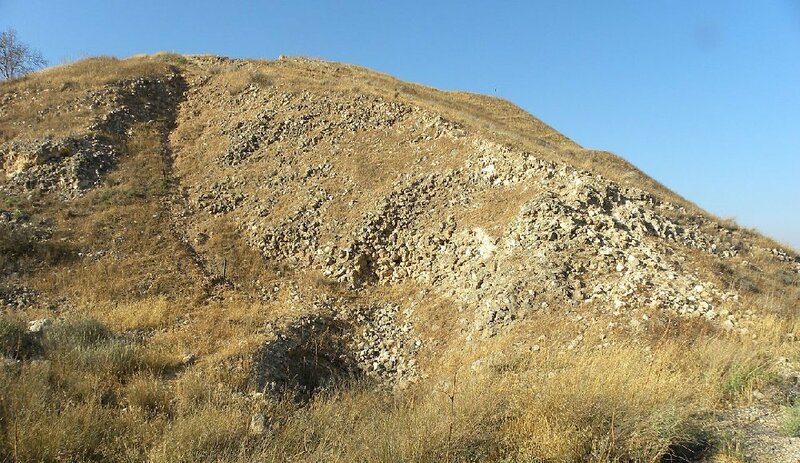 Having defeated Lachish, he moved on to Libnah, a town about ten miles north of Lachish, and that much deeper into Hezekiah's backyard. 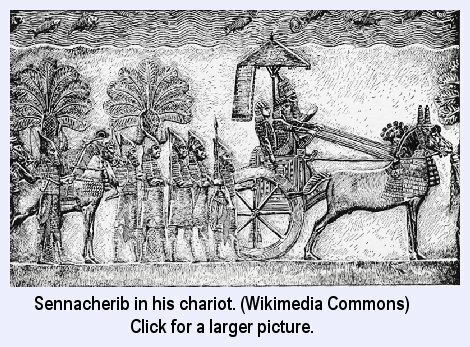 But Sennacherib was facing some obstacles. Sennacherib would have understood what Sunzi meant because he was experiencing the problems himself, and things were getting messy. He was reduced to besieging one little burg after another. Then, as he seemed to be getting mired in, he got word that Tirhakah, king of Cush, was setting out with his army against him. Cush is sometimes identified with Ethiopia and sometimes with the Sudan. Technically, scholars would call it Upper Egypt, and Tirhakah was actually the crown prince of Egypt, next in line to be Pharaoh because the dynasty in power at the time was Nubian. A short excursion to pester Sennacherib would have the potential of making him popular with his own people, particularly, though not necessarily, if he would defeat Sennacherib. If not, it was Egyptian custom to claim success regardless of the outcome. Sennacherib had already fought one battle against the Egyptians, and his strategy had been to try to secure the south of Judah before taking on Jerusalem so that Egypt could not interfere with his plans again. That’s why he had spent his time on Lachish and other outlying towns. If the reports coming out of Egypt were true, his plan was not coming together, and Sennacherib was not loving it. On the other hand, Hezekiah, trapped in Jerusalem, would probably not have had any idea that Sennacherib was on the verge of getting rattled. Assyrian soldiers were still surrounding Jerusalem, but the Rabshakeh and his colleagues, getting word of Sennacherib's move from Lachish to Libnah, departed from Jerusalem and reported back to the king. As a matter of fact, even though they would have made it sound glorious, the bottom line of their report could not have been all that positive or optimistic. The king of Jerusalem was weird, they must have declared. He had received their messages; he knew that he had no chance against them, but he continued to insist on trusting in his God. Not in his army or anyone else, but in his God! Was this guy strange or what? The supposed oddities of Hezekiah notwithstanding, Sennacherib was on the horns of a dilemma. One horn was that he should be gathering all of his troupes and make a concerted effort to defeat the Egyptian army. But doing so would require further confirmation that the rumors of Tirhakah's mobilization were true. He would have to break off the sieges of Libnah and Jerusalem, which had hardly begun, and wait for the Egyptian army to emerge in a place where he could attack them with the promise of success. A direct invasion of Egypt was out of the question; you can only stretch yourself so far. Assuming that all of these matters would come out right, still, by the time he could return to Libnah and Jerusalem, his soldiers would have been involved in several more battles with who-knows-how-many casualties, and all the towns of Judah would have been able to provision themselves again and increase their fortifications. The other horns was that, if he maintained his plans and continued with Libnah, to be followed closely by Jerusalem, an Egyptian contingent could pretty easily make a mess of his sieges. A third-party army coming from the outside didn't have to defeat the besieging army to put an end to the siege. The newcomers just needed to annoy the attackers sufficiently that the siege became too costly to maintain. What to do? Egypt first or stick with Libnah and Jerusalem? The great king of Assyria should not have to let himself get impaled by the horns of any dilemma. Even if he could sell all of his fellow-campaigners on a dubious decision, the news would not go over well at home. He could already imagine the editorials written in the leading newstablets of Nineveh and the ugly things some people might be whispering about him in the barbershops and the Waffle Brick-Dwellings all over the country. He should be too great and exalted to have to put up with any gratuitous critiques. Ahh! There was his answer, if he was being put in a position that potentially compromised his reputation, the least he could do was to attempt to counter it by flaunting how great he was and let the people realize the risks they were taking by voicing opinions contrary to his self-perception. He might be uncertain about what to do with his hands or his feet, but there was no restraint on his mouth or, in this case, his stylus. He wrote a letter to Hezekiah. Given what Sennacherib said , it appears that he had an inside report from someone that God himself had spoken to Hezekiah through his prophet. Just like his sycophantic loudmouth lackey, the Rabshakeh, Sennacherib decided to take the battle to Yahweh himself. Don't let your God, whom you trust, deceive you by promising that Jerusalem will not be handed over to the king of Assyria. Sennacherib had moved up on the scale of accusations. The Rabshakeh had said that Yahweh was weak and that Hezekiah was guilty of deceiving the people. Sennacherib now accused Yahweh himself of deceiving them. He then followed up this indictment with a much-expanded list of all the miserable little towns whose gods could not protect them from his might. 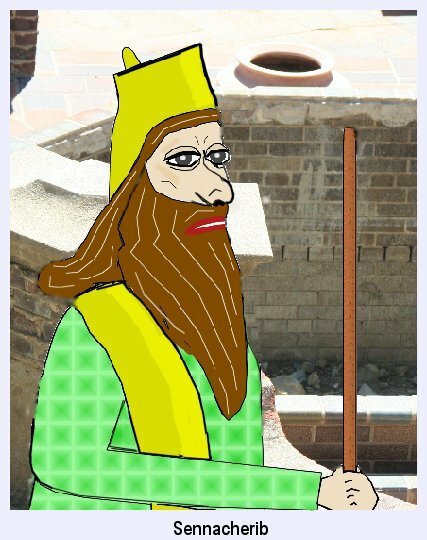 Sennarcherib out-rabshakehed the Rabshakeh! Meanwhile back in Jerusalem, Hezekiah was waiting to see Sennacherib leave and head home, as Isaiah had promised. But there was no sign of any such departure taking place shortly. 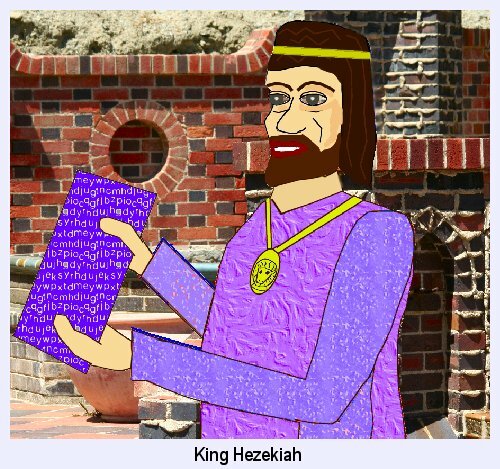 Instead, Hezekiah received a letter from the Assyrian king repeating the same trash talk that the Rabshakeh had already spouted. It's easy for us to make light of Sennacherib’s boasting; Hezekiah could not know about the dilemma on the horns of which Sennacherib was about to be gored. Devastated, he once again took the matter where it belonged, before the Lord. I love the way in which Hezekiah came to God, so to speak, and spread the letter out before him, almost as though he was saying, "Here it is, God. Now what are you going to do?" Actually, he pleaded humbly with the Lord, and he reminded him that he realized that the so-called gods whom the Assyrians had defeated were mere idols that could not possibly protect their people, while Yahweh alone was the true and trustworthy God. Once again God responded through Isaiah. "The Lord has heard your prayer." How did Isaiah know about Hezekiah's prayer? God himself must have disclosed it to him. Clearly that fact by itself lent his message credibility. Needless to say, he spoke Prophetese, but there was no mistaking the message. I designed it long ago; I planned it in days gone by. and you have crushed fortified cities into piles of rubble. Their inhabitants have become powerless, dismayed, and ashamed. grass on the rooftops, blasted by the east wind. I will make you go back the way you came. God added some words of encouragement to Hezekiah to the effect that, even though the Assyrians had totally destroyed the fields throughout the land, there would be plenty of "volunteer" growth for everyone to eat until regulated agriculture became possible again. The rest is history. More or less. The Bible tells us that the Angel of the Lord killed some 180,000 Assyrian soldiers the subsequent night, probably with a plague. This is history. This is an interesting narrative, and it is tempting to attempt to refer to Herodotus to back up the history of the biblical account. But I cannot give myself the freedom to play fast and loose with details, just as I don't think liberal Bible critics should. Please, remember the all-important Cookie Monster principle: If you don’t differ from Cookie Monster, you are Cookie Monster; but if you differ from Cookie Monster, you can’t be Cookie Monster. In other words, two things are the same only if they are not distinguishable from each other, and its application to historical narratives: If you have to change a story to make it identical to another story, they're not the same story. There's a lot that would have to be changed to make the two "variations" (if that's even an appropriate word) coincide. I wouldn't use Herodotus to corroborate the Bible on this point. Josephus (Antiquities, Book X, chapter 1) relates two separate incidents: the one reported by Herodotus involving the field mice and the biblical story of how the soldiers were killed by a plague. This is the "less" part of it being history "more or less." What Herodotus told us could (purely theoretically) also be history, but not the same historical event. The place to turn for another historical account to is Sennacherib's own report. Oh yes, Sennacherib himself wrote it all down for us. Be prepared to find it all, his arrogance, his bluster, his challenge to God, his conundrum as the situation got complicated, and his utter humiliation when God exercised his judgment. Actually, I'll take that last part back; don't get your hopes up. “Humility” or “humiliation” are not attitudes that Sennacherib would apply to himself. You'll find the facts, though with a Sennacherib-and-Rabshakeh-like spin and a little imagination. Here we have the "more" part of it being history again. Sennacherib's account goes on to tell how Hezekiah sent him a large treasure (which Hezekiah had done earlier, and which would not have made any sense afterwards) and, furthermore, that he sent him extremely valuable items of the kind with which Solomon used to dabble, as well as "his own daughters, concubines, and male and female musicians." Sennacherib's imagination obviously ran away with him. For all that I know — and I may simply not know enough — Sennacherib may have been going insane. If this was the case, it would perhaps explain why his two sons wound up assassinating him. I don't know how much difference there may be between an all-powerful monarch who thinks he's God and an insane all-powerful monarch who thinks he's God, but maybe the former is still preferable. But what we see here is unmistakable. In a sense, God had shown mercy to Sennacherib by letting him return home, even though it was in a state of humiliation. The king himself had turned the matter into a contest between Yahweh and himself, and there should have been no reason why he should not have understood the message that God had sent him. (Compare Nebuchadnezzar, who caught on.) He laid out a challenge to the Almighty, and he lost due to an unmistakably supernatural event. Nevertheless, he chose to interpret his defeat as though it were a victory over God. I find this attitude of confirmed unbelief frightening, but it is real; we encounter it all the time. Someone once said that there will be no one in hell who would not rather be there than bow his knees before the Lord. This is not a theologically sophisticated statement, and I'm sure many people would question it. Nevertheless, people like Sennacherib certainly make it sound much more plausible than it might seem at first glance. I trust that you “get it.” God is in charge. He is all-powerful, and it is impossible to challenge him successfully. Hezekiah realized that he needed to turn to God directly because rescue could come from him directly, not by increasing his religious activities. Hezekiah had done plenty of those; another prayer breakfast was not the answer. God himself was his protector. What’s more, the same power that he used to defeat the Assyrians is the power with which he rescues us, whether it be from the “Assyrians” in our lives or by giving us eternal salvation.